Need help logging in? Review member portal access instructions. Members must be signed into their individual member portal account to access the vendor marketplace or for expanded information for other members (email/home phone). 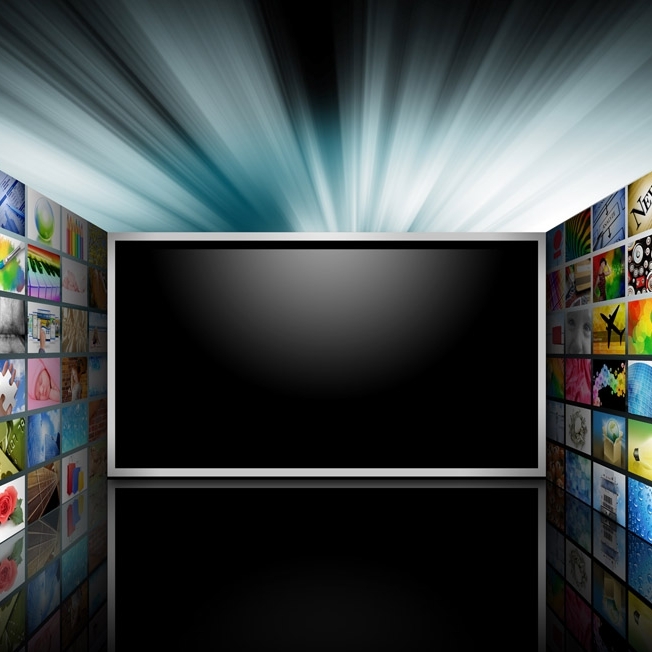 The Video Library and List Serve photos both require their own 'group' passowords. We apologize for the multiple passwords but are working to find a way to integrate these. Learn about how your membership works for you! When should dues be renewed to remain an active member? Annually every December-January, a late fee is added February 1st. How to update information in the member portal? Use this quick reference guide to access the portal and update information, add a profile photo, biography and more. HOw DO I SUBMIT a refund request FOR A QUALIFIED REimburseable ACVO/ABVO EXPENSE? Submit for reimbursement online using a digital form. Complete this summary expense spreadsheet (in Excel), complete this reimbursement form, attach the expense sheet and a digital file of all scanned receipts, and submit it to the ACVO office for review. Only complete requests will be processed, allow 2-3 weeks for payment receipt via check. Please contact the ACVO with any questions. How do I sign up for the Veterinary Ophthalmology journal? The dues renewal form will annually provide each member with the option to purchase a printed subscription to the journal (approx $85) or receive the complimentary digital subscription. If a member elects to receive the VO digitally online, they will be contacted by Wiley with instructions for creating an account. Your subscription renews with annual dues each January 31st. Printed journals may not be purchased for the current year after early February. CAN the resident of a member receive free JOURNAL access? Yes, residents of members may access an online-access journal subscription for free as a benefit of membership; residents are added when their residency is approved. are there resources to help those wanting to start their own Practice? Members may consider attending the 'Practice Management' courses at the ACVO when offered at the ACVO conference semi-annually. Although the ACVO does not endorse any particular entity or organization for creating a practice, materials have been passed along by past speakers on the subject. Please see this PDF for information & tips provided to the ACVO from past Practice Management course speaker, Dr. Charlotte Lacroix. can members print a hard-copy of the membership directory? Learn how to print the most up to date digital membership directory in the member portal. Print on demand directories are also updated quarterly for quick print on this page (group password required). Where can I find “A History of Veterinary Ophthalmology” the Book? Members can download a digital copy using the group password. Veterinary Ophthalmology is a peer-reviewed, international journal that welcomes submission of manuscripts directed towards academic researchers of veterinary ophthalmology, specialists and general practitioners with a strong ophthalmology interest. ACVO Members receive a complimentary online copy, and an option to purchase a printed copy annually at a discount. View ACVO Meeting Abstracts online with your VO Subscription. Special issues in Equine Ophthalmology and Feline Ophthalmology are also published as needed. The VO journal accepts online submissions, guidelines follow. Publishing your next paper in Veterinary Ophthalmology is even easier with the convenience of a fully electronic editorial office via Manuscript Central. Authors may download their papers with ease and track the status of their paper through the entire review process. To submit your paper, visit Manuscript Central, or go to the Author Guidelines section for complete details. 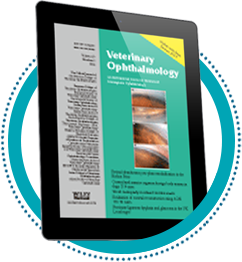 For information about subscribing to Veterinary Ophthalmology's electronic Table of Contents Alerts (E-Alerts), manuscript submission policy, and other details, visit their website or call Wiley at 1-800-835-6770 (toll-free in North America), 1-781-388-8599 (U.S. office), or +44 1865 778315 (UK office). If you are experiencing problems receiving your printed journal, accessing the journal online, submitting an address or email change, please contact the publisher, Wiley, directly though Rhonda Riccardi, rriccardi@wiley.com or call 781-388-8347. Black/white and color advertisements are available in the journal. Approximate distribution is 800+. If your company is interested in advertising in the Veterinary Ophthalmology please contact the ACVO office and we can provide you with current contact information for the publisher or you may contact the publisher directly. ACVO's primary organizational documents are included herein. Members may also request copies of approved minutes, these can be provided electronically via a request to the office. All documents are provided in Acrobat format.